Balancing On My Toes: How many towels do you need?! 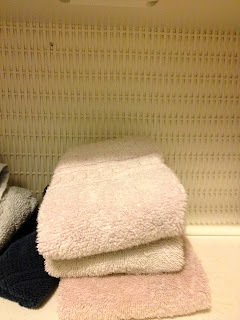 Well, my towel shelf wasn't over-packed but I definitely was finding that I had more towels than I needed. I also wasn't using certain towels because they weren't soft and I preferred to use others that were soft and cozy. I decided to sort through them and get rid of my old set of pink towels, and keep only the towels that were in my newer set and were still soft. I had a total of 6 bath towels, 5 beach towels. After cleaning out my towel stash- I have ended up with: 5 beach towels (I kept all of these because they are great to have around and I honestly use all of them, especially during the summer), 2 bath towels, 2 hand towels, and 2 wash cloths. 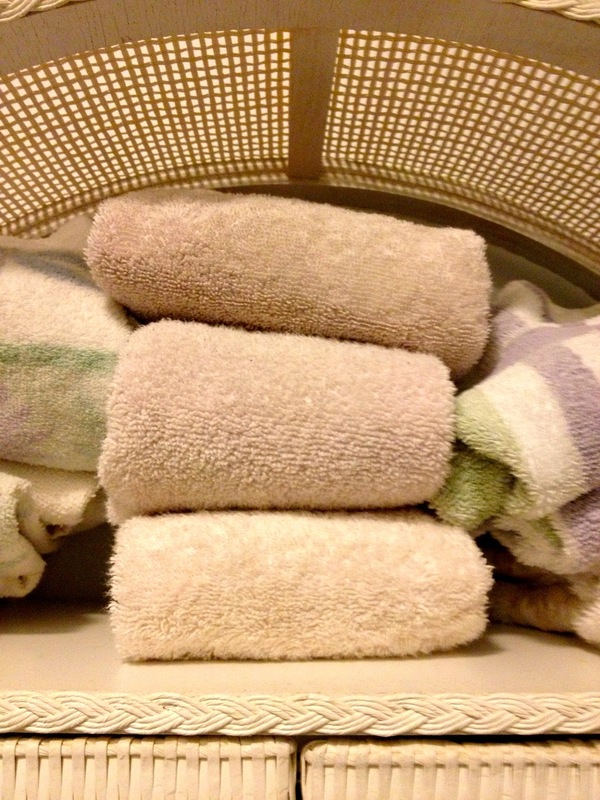 There is no reason for me to need more than that since I am the only one using these towels and wash them weekly. I decided the best thing I could do with these towels is donate them to our local animal hospital. The above picture is one of two bags that got sent off. A great thing to do with items I no longer need!